In 2017 OSHA began to enforce its new silica rule for the construction industry. Less than a year later, the updated standard went in effect for general industry and maritime. OSHA reduced the permissible exposure limit for silica on a work site substantially – about 1/5 of the previous limit. Industry groups argued that several of the provisions, including the PEL drop, were both unnecessary and not economically feasible. Despite the challenges, the rule stuck. 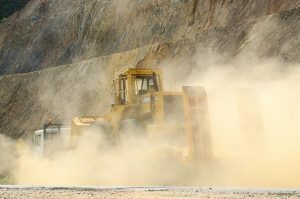 Now, employers for the 2.3 million workers exposed to respirable (airborne) silica must take precautions to lower exposure levels, update equipment, and implement exposure control plans. If you’re part of that group, then you also must a implement medical surveillance program, which includes silica physical exams. What is the purpose of medical surveillance testing? Medical surveillance identifies any health effects in an employee associated with silica exposure, among other hazardous materials. Early detection allows employees to seek appropriate action fast. Testing also determines whether or not any current conditions, such as COPD, make an employee more sensitive to silica exposure. When is a Silica Physical Required? Is your team required to wear respirators for 30 days or more per year? Are those respirators required to protect them from silica dust exposure? If so, OSHA requires you to complete silica physical exams, if the exposure meets or exceed the action level. One standard paver cut releases enough silica dust to meet the PEL for over 29 years worth of shifts. So, it really doesn’t take much to reach the limit – 50 micrograms per cubic meter over an 8-hour shift. Now, cut that in half – 25 micrograms per cubic meter. That’s your action level. As for the respirator use, any amount of respirator use on a given day, even just for a few minutes, counts as a full day toward the 30 day limit. Remember, that 30-day limit is over a 365-day period. However, employers do not have to keep track of when workers wear respirators with another employer. Offered at least every three years following the initial exam, unless recommended more often by a PLHCP. What’s Included in the Silica Physical? The silica physical exam requires that a PLHCP reviews the employee’s complete medical and job history. Employees will be asked about exposure to silica and other chemicals, breathing problems, tuberculosis, tobacco use, and any heart conditions. This information must be updated every three years, if working conditions remain the same. The physical exam, with special emphasis on the respiratory system, must be performed during the baseline silica exam. It should be completed during the baseline silica physical, and every three years after. The PLHCP examines the cardiac system, extremities, and other pertinent organ systems. The TB test must be completed with the initial examination. There are two types of TB tests: Skin & blood. The blood test does not require a follow-up, so it is more common for a silica physical. If the PLHCP determines that the employee is at higher risk for TB, he/she may request to perform this testing annually. Also, if the employee does have TB, then he/she will be referred to a specialist. The baseline exam requires an initial chest X-ray, and one ever three years following the first exam. Chest X-rays help to propertly diagnose silicosis, and monitor its progression. B readers, experts at reading x-rays for dust diseases of the lung, receive and review the results. These B readers are approved by NIOSH. The initial exam requires a PFT & spirometry test, and at least every 3 years following. A PFT & spirometry tests breathing by measuring lung capacity. The testing must be administered by a spirometry technician with a current certification from a NIOSH-approved spirometry course. Both the employer and employee receive a written medical opinion. The documents include any recommended limitations on the employee’s future exposures. Employees may also receive additional private medical information. The PLHCP only shares this information with that employee, unless he/she offers written consent to also give it to his/her employer. This enhances privacy and encourages employees to participate in testing without retaliation or discrimination based on medical findings. If you need silica physical exams, then you likely need respirator fit testing and medical clearances. Depending on the type of mask(s), you’ll need one of two types for each: Qualitative and/or quantitative. A qualitative fit test relies on the employee’s sense of taste or smell, or his/her reaction to a substance (test agent) in order to detect leakage into the respirator facepiece. It’s a pass/fail exam. A quantitative fit test utilizes a machine to measure the amount of leakage into the facepiece, instead of relying on senses. First, though, the employee(s) require medical clearance to wear a respirator. That part of the testing can be completed online prior to fit testing. You’ll need to find a medical provider in your area that specializes in occupational health. In the case of Worksite Medical, if you’re in the eastern portion of the United States, we will bring the clinic right to your job site. We offer mobile medical testing, such as silica physical exams, respirator fit tests, and audiometric exams. And, we do it all on your terms, at your convenience. To schedule or to get your free quote, just complete the form below. You can also start a live chat on the right of your screen, or call us at 1-844-622-8633.